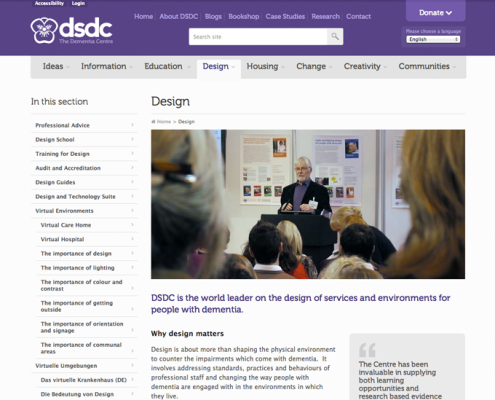 Here are some links to organisations with a focus on dementia and design. 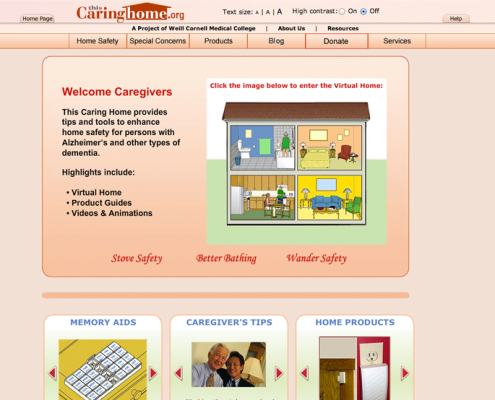 This Caring Home Provides tips and tools to enhance home safety for persons with Alzheimer’s and other types of dementia. 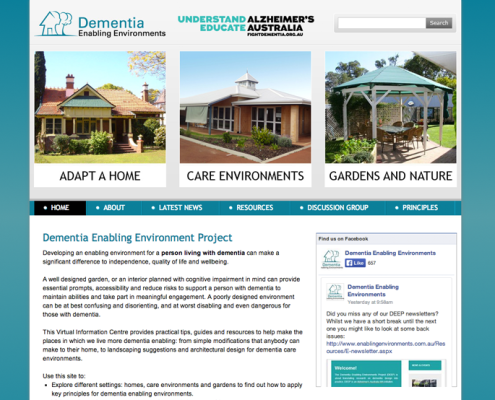 This website is a resource for designers, providers, and others to inform the creation of supportive environments for people with dementia. 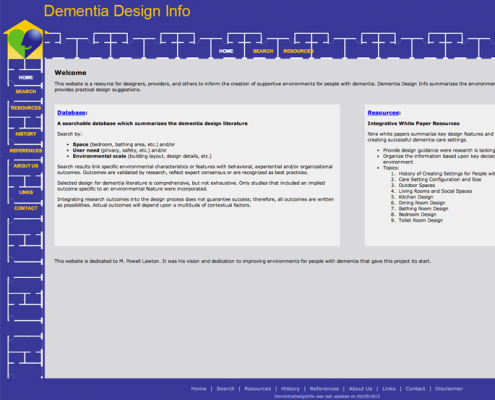 Dementia Design Info summarizes the environment-aging literature, puts it into easy to understand terms, and provides practical design suggestions. 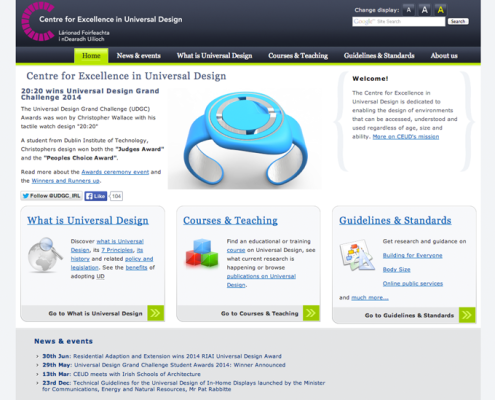 The Centre for Excellence in Universal Design is dedicated to enabling the design of environments that can be accessed, understood and used regardless of age, size and ability.